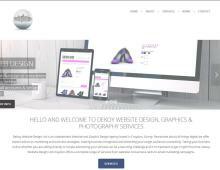 Dekoy Website Design Limited are based in Croydon providing a range of website design services, graphic design services and photography services for businesses in Surrey. This web design company in Croydon has extensive experience in creating bespoke website design and graphic design solutions for a range of clients. If you need a new mobile friendly website, contact Dekoy Design for a professional and responsive website design that is user friendly.